R0150. 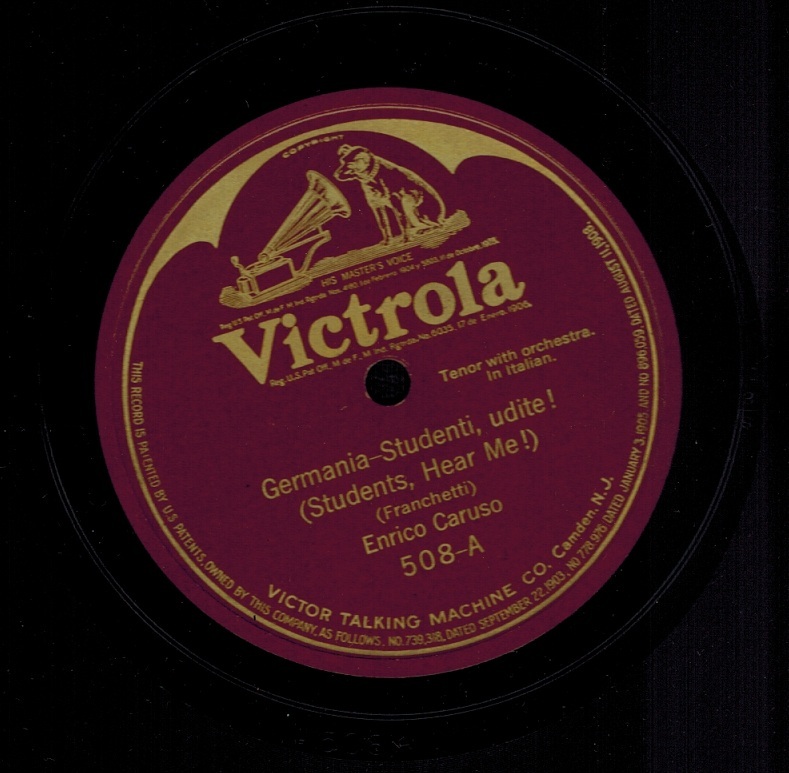 ENRICO CARUSO: GERMANIA – Studenti, udite (this side a Pantograph pressing, as always) / No, non chiuder gli occhi vaghi (Franchetti). 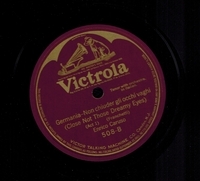 10” AC Vla 508, POM-14 March, 1910. 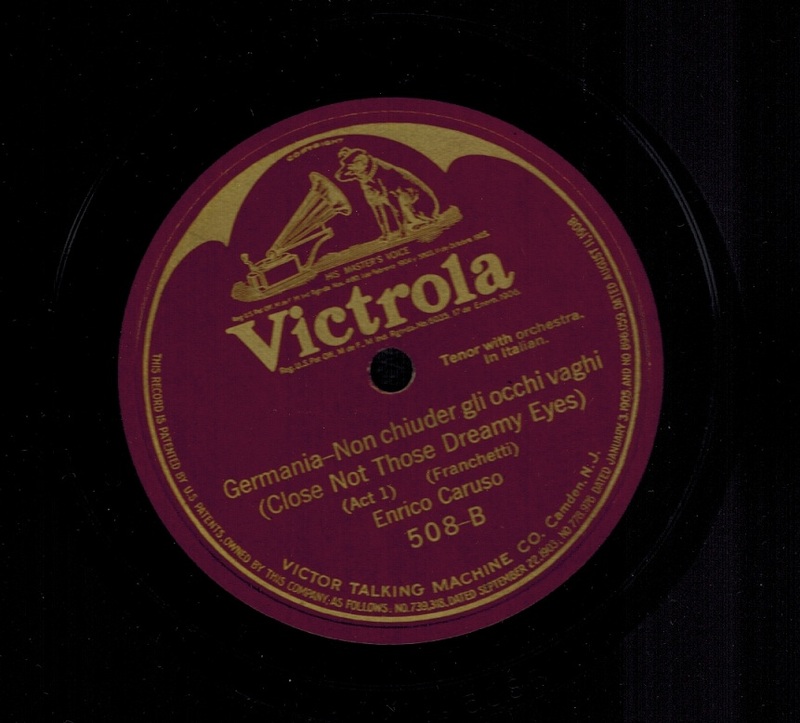 Spectacular copy has 2 minuscule pressing bumps.